An Opel of some sort, made in Hong Kong. 1955 Panhard Dyna Z by Cle of France, a little crude (no lights!) but accurate a so so Gallic. 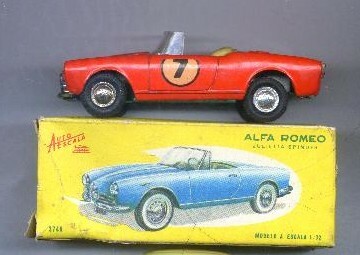 Very nice Alfa Romeo by Paya of Spain from the Mike Sells collection. 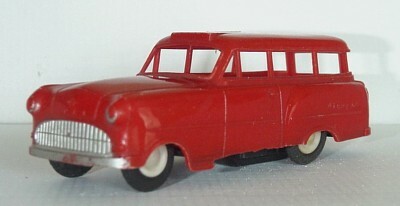 One of the nicer Cle models, this is a Peugeot 203 saloon. 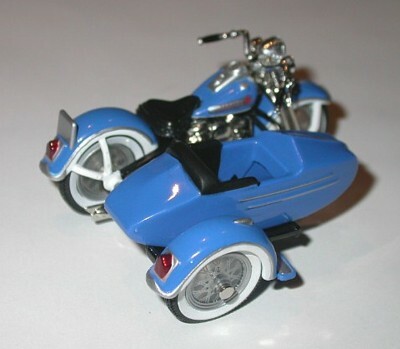 Diecast Plymouth Prowler towing one of Mike's light hearted creations. Both models from the Mike Sells collection. 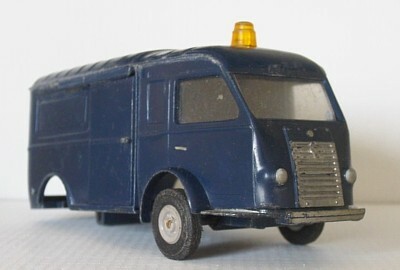 Another one by Cle, but not very accurate, a 1950s Renault Fregate. 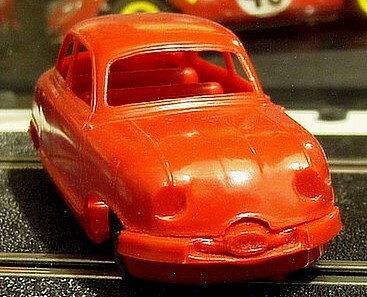 Generally Cle made a good job of the small cars they modelled, but the larger vehicles all look overscale to me. Rare and expensive in good condition (which is why mine is a bit of a wreck). 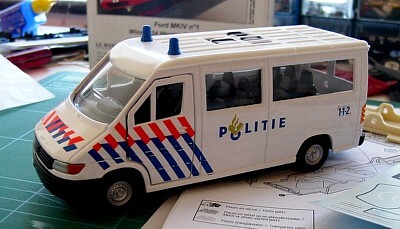 Renault 1000kg van by Minialuxe of France.